NORTHERN AREA Community Based Promoting Mental Health and Suicide Prevention Small Grants available in the Ballymena & Larne areas of M&EA & the Ballymoney & Moyle areas of CC&G Borough Council. The Public Health Agency (PHA) has identified non-recurring funding to address the themes of Suicide Prevention, Self- Harm, Mental Health & Emotional Well-Being and have commissioned Northern Area Community Network to facilitate this process. As such Northern Area Community Network is inviting community and voluntary sector organisations to apply for non-recurring awards to address the outlined themes. Grants are available at the level of £1,000 per project. Applications may be considered for more strategic projects over £1,000 limit dependent on evidence of need and availability of resources (Please see GUIDANCE NOTES). Groups with a total income over £100,000 will not be considered. Applications also should promote protective factors and build resilience, including e.g. early intervention, emotional wellbeing awareness work, increasing the capacity for self help and measures to improve quality of life. 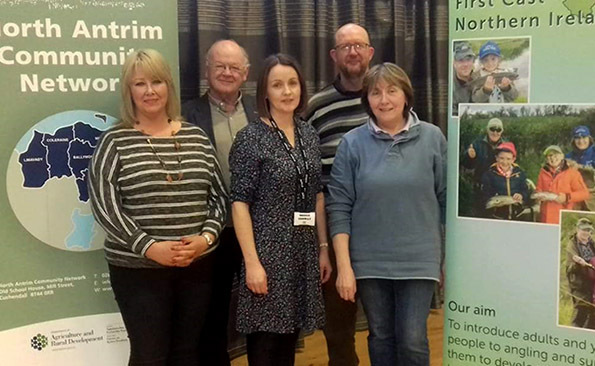 Northern Area Community Network Promoting Mental Health and Suicide Prevention Small Grants Scheme is funded through the Public Health Agency and is delivering in the Ballymena & Larne Areas of M&EA Borough Council & the Ballymoney & Moyle Areas of CC&G Borough Council. The Lifeline number is 0808 808 8000 and lines are open 24 hours a day, seven days a week. This is a free helpline service, the website address is lifelinehelpline.info. The PHA Northern Area Promoting Mental Health and Suicide Prevention Steering Group is made up of representatives from: Public Health Agency, Health and Social Care Board, local Community Networks, Family Voices, EANI North Eastern Region, NHSCT, Churches, Council representatives, Rainbow, Aware Defeat Depression, Action Mental Health, Lifeline/Contact NI and the Samaritans. Context – 4 Northern Area Community Networks: The 4 Northern Area Community Networks – NACN (Northern Area Community Network); CRUN (Causeway Rural and Urban Network); CWSAN (Cookstown and Western Shores Area Network) and SACN (South Antrim Community Network) in the Northern Locality provides community development support to urban and rural communities within the Borough Councils of the Northern Locality by determining and responding to the key issues impacting on the lives of rural people, and rolling out programmes committed to tackling the impact of poverty and economic crisis in rural areas through commitment to promote mental & emotional well being; reduce suicide rates and address the wider determinants of mental health and suicide & self-harm.